$10 million federal grant to improve city streets in Birmingham, focusing on Pratt City (with gallery, video) | al.com: A $10 million infusion of federal transportation dollars will pay for repaired streets, new sidewalks, bike lanes and paths in Birmingham, particularly in tornado-battered Pratt City. Birmingham native and U.S. Department of Transportation official Dana Gresham last visited Pratt City in the days after the April 27, 2011, tornadoes in the company of U.S. Transportation Secretary Ray LaHood. 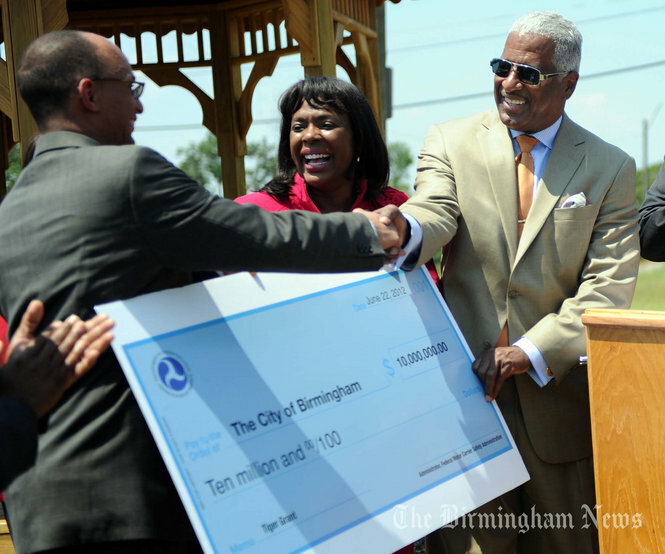 On Friday, he delivered the good news to the diverse coalition that backed Birmingham's successful bid in the fiercely competitive TIGER Grant competition.